Our Founder - CHI BUDO KWON MARTIAL ARTS, Inc.
WORLD TANG SOO DO ASSOC. 3RD DAN, MASTER JAE CHUL CHIN. 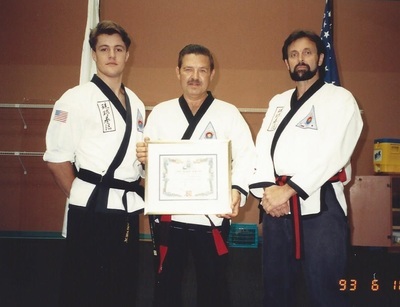 HANA DIA ICHI KARATE (JAPANESE KARATE) 3RD DAN, MASTER AUSTIN BOX. TRAINED WITH, BUT BELTS NOT AWARDED JUJITSU, WING CHUN, WHITE CRAIN KUNG-FU. 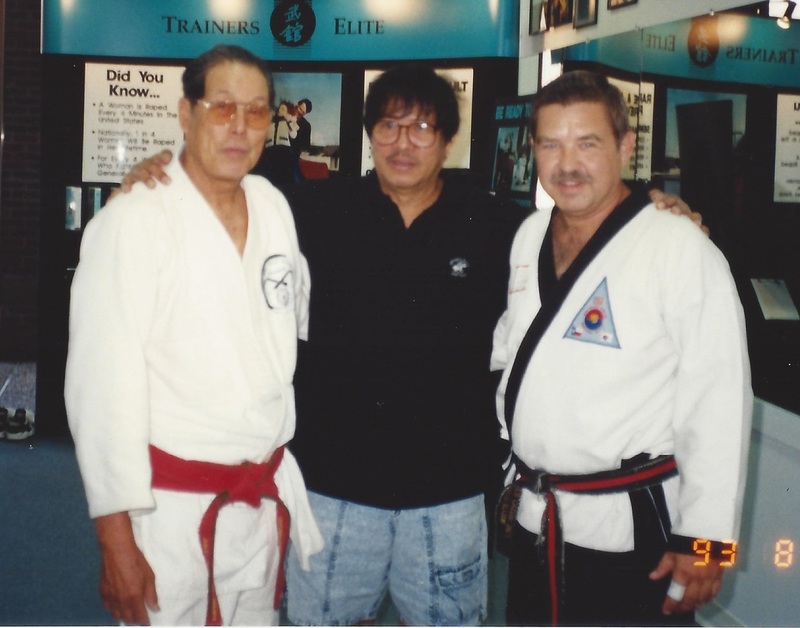 For Hae Jan Nim Glass, karate and self defense were a way of life: He believed that the Martial Arts student should respect others, nature and one's self while expecting the same in return. In his many years of fire department service and karate training he has seen the worst in people and the best in people. 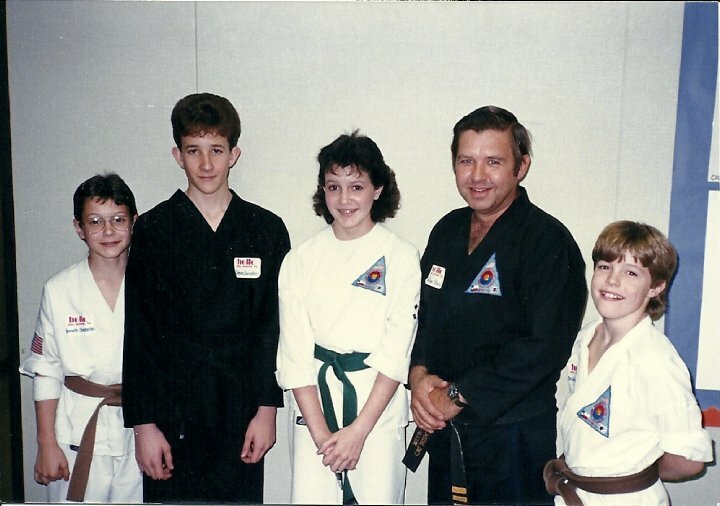 As an instructor he always demanded the best in his students and from himself. 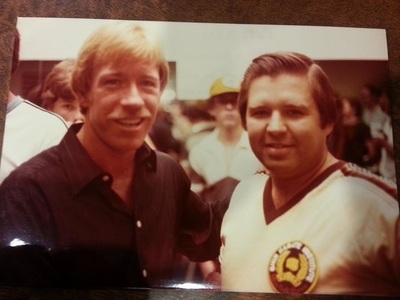 He loved to say "What if I train hard with my techniques for years, and never have to use them? THEN I HAVE WON!" Hae Jang Nim went to meet his Lord and Savior on March 22, 2015. It was an honor for those of us who got to train with him. 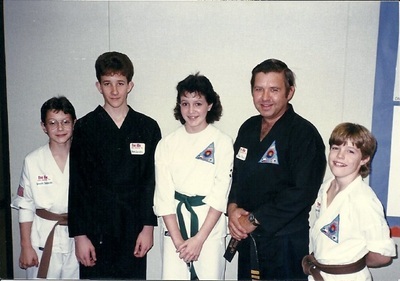 He is quoted in his obituary saying "He was most proud of his accomplishments as Founder of his Karate School named Chi Budo Kwon, which still continues today."